Captain Henry Stuart Wheatly-Crowe (1882-1967) (often rendered Wheatley-Crowe) was a Commandeur of the Order of the Crown of Thorns. Wheatly-Crowe devoted the greater part of his energies and much of his inheritance to the two causes of Jacobitism and the restoration of the commemoration of the martyrdom of King Charles I to the calendar of the Church of England. His addition of “Stuart” to his forenames reflected his claimed descent from the Lennox Stuarts. He was using the title Baron Montrencie from early adulthood onwards, though the provenance of this title is unclear. Later he would assert his right to the title of Duc de Saint-Quentin in the Peerage of France. His career was with the Army, and he was gazetted Second Lieutenant in the 1st Cheshire Royal Engineers (Volunteers) in July 1900, becoming Second Lieutenant in the 6th Battalion, The Lancashire Fusiliers, in September 1902. In October 1914 he was gazetted as temporary Captain and thereafter served during the First World War with the Manchester Regiment. In 1919 he resigned his commission on account of ill-health and was permitted to retain the rank of Captain. A High Church Anglican, he inaugurated his campaign for King Charles the Martyr by founding the Royal Martyr Church Union in 1906. This attracted around 500 members at its peak, including a number of peers of the realm. In 1911, the Memorial of Merit of King Charles the Martyr was established, and a revival of this body continues today. This was conceived as a system of honours within the Anglican Communion, and its Statutes received the approval both of the Archbishop of Canterbury and King Edward VII. 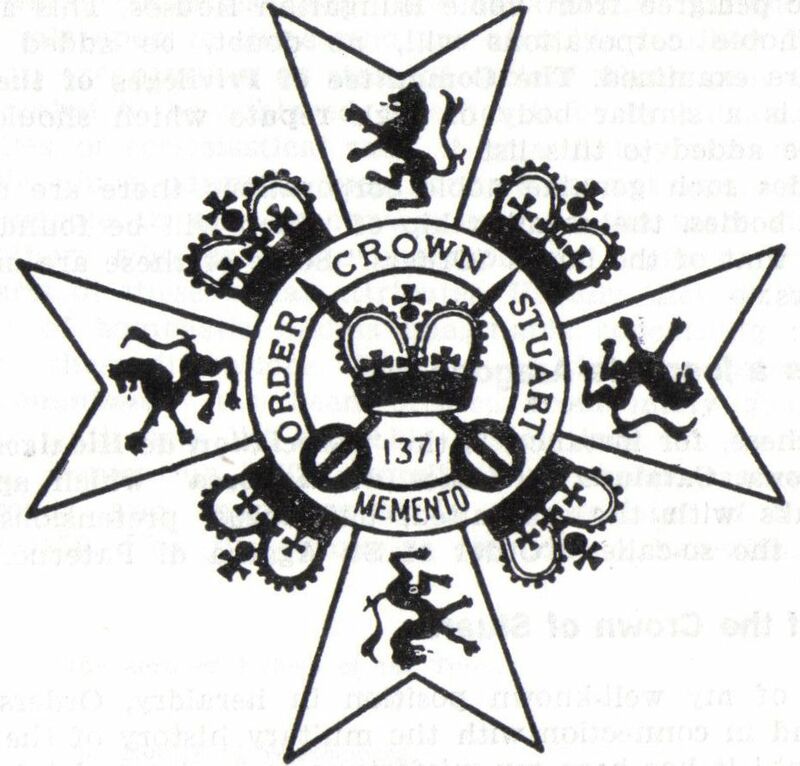 Jacobitism began to gain some ground in the aftermath of the First World War, and in 1926, Wheatly-Crowe founded the Royal Stuart Society, and subsequently in 1932 the Order of the Crown of Stuart, which were to prove key organizations for the British Jacobite movement. During the 1930s, Wheatly-Crowe was mostly a supporter of the claim of Prince Rupert of Bavaria (Robert I and IV) to the British throne, although at other times, because of the descent of Prince Rupert from an uncle-niece marriage, he gave support to the Infanta Alicia de Borbon or other Jacobite claimants in his stead. The Abdication Crisis of 1936 presented an opportunity for Jacobites to capitalize on public dissatisfaction with the House of Windsor, and Wheatly-Crowe accordingly issued a proclamation that declared himself to be “His Highness the Lord Regent of England, Scotland and Ireland” based on a letter of authority from Prince Rupert of 22 February 1937. As Regent, Wheatly-Crowe’s first act was to issue a strongly worded protest against the coronation of George VI. Prince Rupert had generally been extremely circumspect about advancing any Jacobite claims, and the publicity that attended Wheatly-Crowe’s actions was not welcomed. He ordered his Chancellor, Erwin Freiherr von Redwitz, to write to Wheatly-Crowe making it clear that he refuted any claims made in his name, and that if Wheatly-Crowe persisted in them, legal action would follow. This setback meant that the Jacobite cause lost what temporary momentum it had gained. A newspaper report of 1951 details Wheatly-Crowe’s custody of the mummified heart of the Marquess of Montrose, which had been gifted to him in 1931 and had successively reposed in a glass case in his Hampstead home and under the bed in his New Forest residence. The Marquess had been executed in 1650 as a result of his failed attempt at a rebellion in favour of the restoration of Charles II. 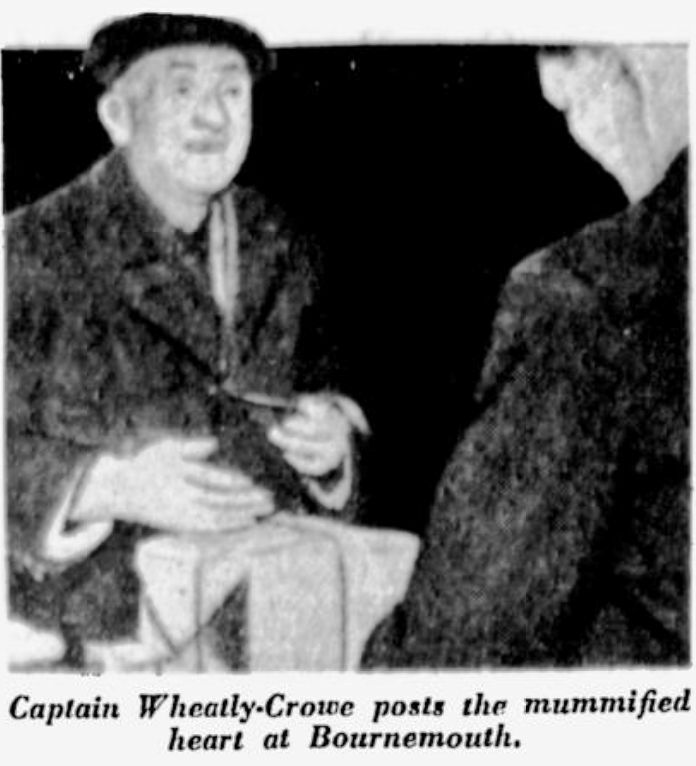 The reporter recalls that Wheatly-Crowe brought the relic down while he was having tea with him, and placed the “brownish-black, leathery lump” on the table. Wheatly-Crowe eventually sent the heart by registered air mail to a descendant of Lord Napier, a prior recipient, in Canada. The Order of the Crown of Stuart rose to greater prominence amid the chivalric revival of the post-war years, although Wheatly-Crowe’s tenure at its helm was not consistent and at one point he found himself ousted by modernisers. Its structure under his leadership was that of a chivalric confraternity – doubtless in remembrance of those Jacobite orders and chivalric societies revived under the Earl of Ashburnham and the Marquis de Ruvigny in the latter half of the nineteenth-century, to which it saw itself as the successor. Knighthood was conferred in three ranks, including provision for hereditary Chevaliers, and with other nobiliary distinctions introduced. A thorough revision of the membership was undertaken in 1960. At this time, Wheatly-Crowe was Grand Master and among the officers were the Most Revd. J.E. Bazille-Corbin (Grand Chancellor; also a member of the Order of the Crown of Thorns) and Professor Vincent Powell-Smith (Registrar; also an Officier of the Order of the Crown of Thorns until his withdrawal from the Order in June 1962). As of 1959, the Chaplains of the Order included not only representatives of the Roman Catholic and Anglican Churches but also the Revd. Geoffrey Paget King, as representative of the Old Roman Catholic Church. Mgr. Paget King was also a Prelat-Commandeur of the Order of the Crown of Thorns. During the 1960s, the Order of the Crown of Stuart and the Memorial of Merit published a joint newsletter entitled Legitimist Notes. The pattern of the Order established by Wheatly-Crowe was not to the approval of all those involved, and harsh criticism from both present and former members brought about fundamental changes that sought to remove the chivalric and nobiliary elements that he saw as essential to its character. By this time, he was no longer able to maintain the staunch resistance he had always offered to such developments, and it would perhaps be true to say that the Order as he had created it died with him.